It’s been too long since the last entry in this series. 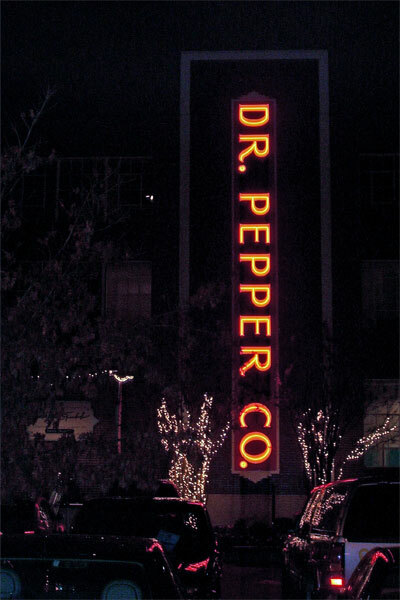 Originally used as part of a complex for bottling Dr. Pepper and making its syrup (click here for more information on the site’s history), the building this sign is located on was converted to be the centerpiece of Pepper Place. The sign had been taken down for a couple of months, presumably to have it repaired. It was back up last night though, just in time for the annual Pepper Place Holiday Party. Click here to view those images that have been catalogued so far as part of the series. The photoset is in the process of being transferred from one site to another, so if you happen to stumble across the links, have at it.